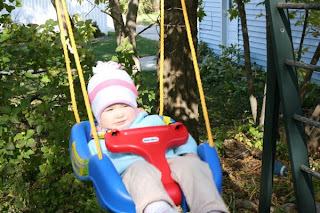 Hadley woke up from her nap today to find "a park in the backyard!" (as she says) You would have thought disney world came to our house for how excited she was. We played out there all afternoon, she was in heaven! 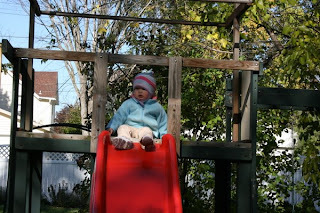 She wanted to go down the slide a million times. 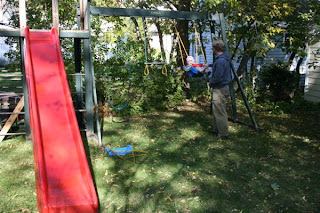 We were lucky enough to be offered this swing set for free so we couldn't pass it up! Wow. Free? Looks like she is having so much fun! Lucky girl.